ASME launched new social networking features on ASME.org that enable users to register to become ASME.org Participants, create personal profiles, and network with other engineers in a global community. The ability to become an ASME.org Participant is open to anyone and is free to join. Anyone who is interested in becoming part of an engineering-focused online community and wants to network and engage with like-minded colleagues can become an ASME.org Participant. Other changes to the site that will enhance user experience include a revamped homepage, updated site navigation, and the ability to comment on articles (you must be a registered Participant in order to comment). A user does not have to become a Participant in order to purchase a product from ASME; they can continue to access their ASME accounts and use the shopping cart. ASME.org Participant: Once you register on the site, you become an ASME.org Participant. Registration is free and you do not need to be an ASME member in order to be an ASME.org Participant. Participant Profile: The Participant Profile is the user’s public identity; the profile lets others see interests, work experience, education, and other credentials such as publications, certifications, patents, and projects. Creating a profile is easy: simply complete the data fields or import information from a LinkedIn or ASME member account. Creating a complete profile will help you get the most out of your ASME online experience. Dashboard: The Dashboard is the Participant’s personalized space on ASME.org. Here is where you manage your ASME account, membership, and benefits; send messages; share links and comments; see your ASME group and committee activities; and receive customized alerts for conferences, events, articles, and publications that are based on your interests. Participant and Group Directory: Directory allows you find other Participants to add to your network and search for ASME Groups to join based on your professional interests. 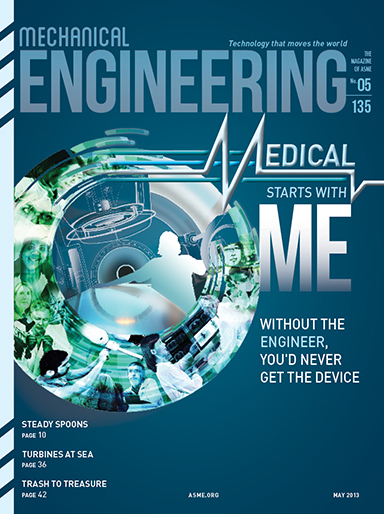 ASME Groups: ASME Groups connects engineers with similar interests. ASME Group members can facilitate official Group business; have private discussions; share information and content. As a registered ASME.org Participant, you can join any open Group by searching the Group Directory and sending a request to join. You can also create your own group based on a topic or industry.